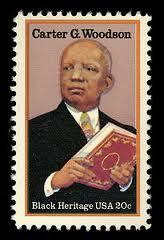 I am writing to request that you join the Association for the Study of African American Life and History (ASALH) in our efforts to persuade the US Postal Service to issue a forever stamp commemorating Carter G. Woodson, the "Father of Black History, and ASALH's centennial anniversary in 2015. This recognition is well deserved. ASALH is the longest continually operating organization dedicated to promoting, researching, preserving, interpreting and disseminating information about Black life, history and culture to the global community. Please download the attached sample letter and mail it directly to the Citizens' Stamp Advisory Committee. Of course, you should feel free to compose your own letter. In either case, it is important that the letter be sent by US mail and not electronically. It is also critical that these support letters be posted as soon as possible due to the timing of the Committee's deliberations. Thank you in advance for your support and we look forward to your involvement in ASALH's centennial celebration! The US Postal Service requires that letters of support must be mailed not emailed.